It’s a sort of revolution. I’m re-blogging this from some time ago as we are in the season of celebrity books and here in Nam ( Cheltenham ) we’ve just had the what people call the ‘lit fest’. It’s a great boost to the town bringing in loads of worthy media folk and writers looking for an extra sale of a recent tome. Here’s something that I am wont to do now and again. I’m sure that many people like me, take against certain celebrities. One of my own dislikes is that chap who swears a lot whilst cooking. I do a bit of that myself when cooking but not at other people, and if I did would expect more than a mouthful back. There are others but for the time being we’ll limit it to the one. In general I don’t dislike people but it’s what they do that at times finds my disapproval. So what to do about it? I suppose I should take direct action and write to this chap and ask him to moderate his language whilst in the kitchen, but it’s hardy likely to succeed. After all his success is based upon his base language and the reaction to it. Celebs such as he generally write books. It funds their lifestyle and they do need to make a living. So here’s a plan learnt from my father, who apparently did this on a regular basis with anyone who wrote a book and who he thought did not deserve to sell it. When next in the bookshop the book of the celeb will be prominently displayed with aforementioned celeb photographed in action on the cover. 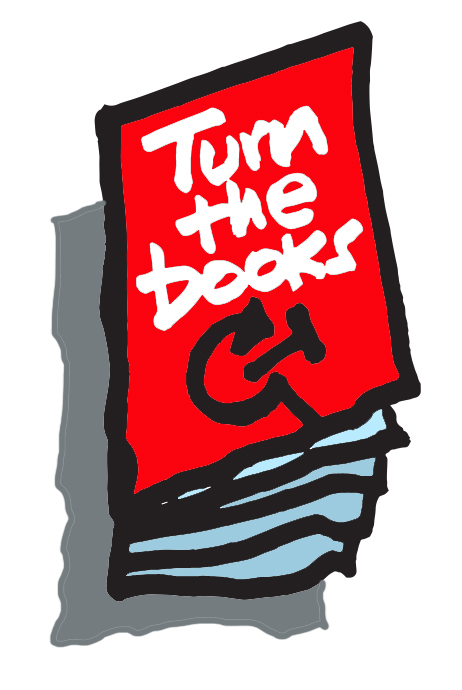 Turn the books. Put them back on the shelf but back to front. That’s it! Not earth shattering but a gesture of disapproval that hurts no one. The back of the celebrity book is likely to be deeply uninteresting but if it has the celebrity on the back too, then turn it upside down too. They look quite ridiculous upside down. Come to think of it, it’s only people who are quite ridiculous that deserve this sort of revolution. I’ll be looking in my local bookstore to see if this catches on. You rebel you! What a good idea though! I turned a book just last week in W H Smith’s. Revolution is at hand!